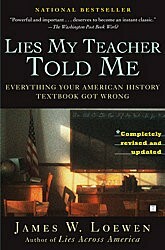 A sociologist, historian, and author of Lies My Teacher Told Me: Everything Your High School History Textbook Got Wrong, examining the many distortions found in American history texts. A non-profit with a mission to protect immigrant women and girls, and to promote a world where women and girls enjoy equality and live in safety and with dignity. A columnist at the Houston Chronicle. Awarded with 2015 Pulitzer Prize, for groundbreaking columns about corrupt grand jury practices and egregious problems in the legal and immigration systems. Listed as the title sponsor, name/logo recognition as sponsor on website and program. Half page ad in program, 5 tables for 6, a single lifetime membership. CFHR lapel pin. Name/logo recognition as sponsor on website and program. Quarter page ad in program, 4 tables for 6, and a single 2017-2018 membership. CFHR lapel pin. Name/logo recognition as sponsor on website and program. 2 tables for 6. Will receive a single 2017-2018 membership. CFHR lapel pin. Name listed in program, 1 table for 6. Will receive a CFHR lapel pin. Please use our email address cfhr1@juno.com to register yourself and your guests, or you may invite your guests to register themselves. We will not be using paper tickets. Mailing your check or using PayPal will insure you a place at the event.